Prof. Sander van Deventer - NorthSea Therapeutics B.V.
Sander is currently an Operating Partner after having served as (Managing) Partner at Forbion for three consecutive funds and continues to have a leading role in the scientific evaluation process of investment opportunities by the Investment Team. He currently serves as a non-executive on the boards of Hookipa and the scientific advisory boards of Engene and Staten. He was responsible for Forbion’s successful investment in Borean and acted as founding CEO and chairman of the scientific advisory board of Dezima. Until recently, he served on the boards of Argos, Engene and Staten. In addition to co-founding Forbion, Sander is a professor in Translational Gastroenterology at the University of Leiden and an accomplished scientist: He authored over 400 peer-reviewed scientific papers, organized several large international scientific conferences, and supervised more than 40 PhD students. In 1995, he became director of the laboratory for Experimental Internal Medicine at the Academic Medical Centre in Amsterdam, and continued to work on therapeutic signal transduction inhibition, gene therapies, and (genetically engineered) probiotics. 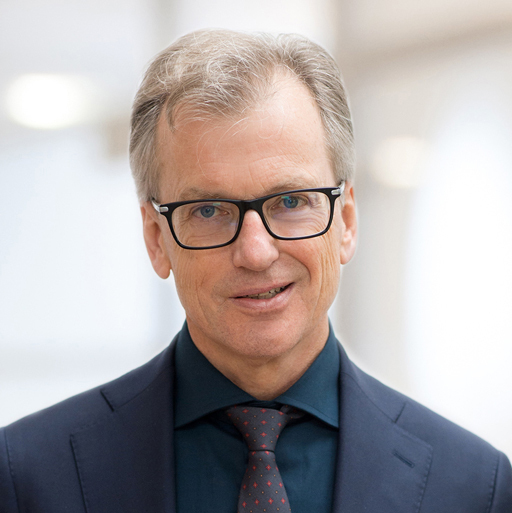 In 1998 he co-founded Amsterdam Molecular Therapeutics (AMT N.V.) currently uniQure N.V., developing AAV-based gene therapy products and now listed on Nasdaq (QURE), acting subsequently as CSO, CMO and CEO. From 2001 until 2004, he chaired the Department of Gastroenterology and Hepatology at the Academic Medical Centre in Amsterdam. In August 2017, in close consultation with Forbion, he re-joined uniQure as its CSO and General Manager of the Amsterdam site for 50% of his time, to guide the company scientifically through a crucial period.